Many photographers become overwhelmed when making the transition from traditional film to digital photography, and with good reason. Digital photography often presents conflicting overlaps between key terms. However, with knowledge, you can easily make the move to the digital age without getting lost in a maze of different words. DSLR is the digital equivalent of a SLR (single-lens reflex) camera. The high-tech camera has the capacity to use interchangeable lenses, unlike a standard point-and-shoot digital camera. The main difference between the two is that a DSLR does not require standard film. Images are recorded and saved on a memory card. ISO corresponds to the speed of traditional film within a digital camera. ISO options can range from ISO 50 to ISO 3200, or higher on some digital cameras. Digital ISO references the sensitivity a digital sensor has to light. The lower the ISO, the slower the shutter speed operates. Conversely, a higher ISO allows images to be recorded under low light conditions. Most DSLR cameras do not produce extremely grainy images commonly associated with higher ISO settings, unlike SLRs which use film. Digital SLRs with long shutter speed capabilities normally offer a noise reduction feature. Noise reduction (NR) is sometimes an automatic function of the digital camera. Other times, it is a function manually chosen from the menu, depending on the make and model of the camera. Thousands of tiny dots make up a digital image. These small dots are known as pixels. Each pixel contains information about the image’s color and light. Pixels record and display information in the form of an image resolution. The more pixels recorded, the higher the resolution of the final image. This is commonly referred to as mega pixels. A camera with more mega pixels produces higher resolutions, and consequently, renders a higher quality photo with crisp details. This small electronic chip records a photo. CCD (Charge-Coupled Device) and CMOS (Complementary Metal Oxide Semiconductor) are the most common sensors on the market, although other types of sensors are available for recording image data. Memory storage is the digital world’s equivalent to film. The difference is that flash memory can be erased repeatedly. 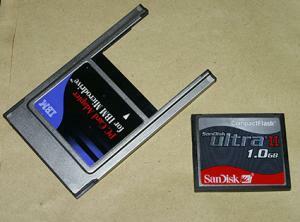 Different types of flash memory storage are available, including SD (Secure Digital) cards, which store protected data. Compact flash memory storage (CF cards) consists of a compact, removable flash memory card. Optical zoom is a higher grade zoom lens found on a digital camera. It refers to the camera's real multi-focal length lens. Optical zoom lenses physically extend in order to magnify the subject. The physical extension capabilities of optical zoom yield better quality photos compared to standard zoom lenses. This type of zoom magnifies the center part (the middle 50 percent) of an image. Digital zoom works by cropping the image, and then magnifying the results. Digital zoom is considered to be a lower grade zoom in comparison to optical zoom. Macro refers to the ability of a lens to focus at eight inches or less to a subject. This feature is needed in order to document small objects at a 1:1 ratio, or as close to the subject as possible. 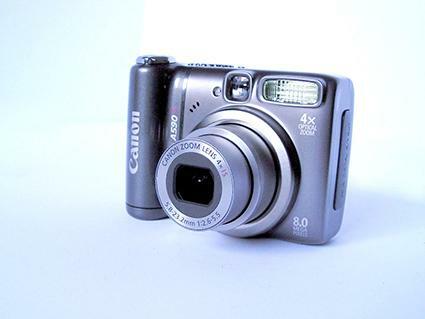 A number of high-quality point-and-shoot digital cameras offer built-in macro functions. DSLRs, point-and-shoot cameras and film cameras come with a litany of pros and cons. It is important to know the differences between each before purchasing a new camera. If you decide to go digital, it is a good idea to learning basic digital photography terminology, so you can make the most of your new investment and take frame worthy pictures for years to come.